You have a great idea, a proof of concept and maybe even a prototype or working model. Now it’s time to validate what you’ve got and gather enough money to take it to the next level to release a product. In the last year, a number of sites have come up that allow creators, companies and dreamers a venue to ask everyone and anyone for some money. These crowdfunding / crowdsourcing sites aren’t an investment for anyone, but a way for the world wide community to help a fledgling company get started. 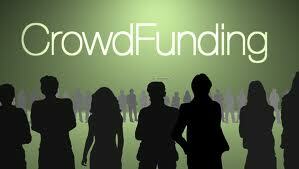 For 2012 it’s been estimated that crowdfunding has raised nearly $3 Billion for over 1 Million campaigns globally. It’s anticipated this will grow to over $5 Billion in 2014. We take a look at the most popular ones to explain how they work, what types of ideas they support and how much they cost to use. Quirky uses a review process to decide if an idea will fit with their model. Creators submit an idea, along with supporting information to the Quirky community which has 30 days to vote on it. The ideas are reviewed and evaluated, and then either dropped, sent back for refinement or passed through to the product stage. At Kickstarter, there are “Backers” who provide funding and “Creators” who are submitting proposals . The Backers are supporting projects to help them come to life, not to profit financially. Instead, project creators offer rewards to thank backers for their support. Backers of an effort to make a book or film, for example, often get a copy of the finished work. A bigger pledge to a film project might get you into the premiere — or a private screening for you and your friends. Funding is also “all-or-nothing”. A project must reach its funding goal before time runs out or no money is distributed from the Backers. If the goal isn’t reached in the allotted time frame, all of the contributions are returned. The goal, as well as the time period are both set by the Creators. Funding goals are in the $100’s to the $100,000’s with the average around $5,000. Time periods are typically 30 to 90 days. It doesn’t cost anything to submit a project, but after it’s funded there is a 5% fee subtracted for Kickstarter as well as a 3% to 5% payment processing fee. Creators retain 100% ownership of their company and all their intellectual property and rights. Almost any type of idea can be submitted, however Kickstarter cannot be used to fund charity projects or causes. IndiGoGo is similar to Kickstarter in many areas – there is no cost to create a “Campaign” and the company, intellectual property and all rights remain with the Campaign creators. One major difference is that IndiGoGo can be used to raise money for anything, including for-profit ventures, creative ideas or personal needs. IndiGoGo offers two types of funding campaigns – Fixed and Flexible. The Fixed model is same as Kickstarter where the funding is only delivered after a goal is reached, or all the contributions are returned. With Flexible, at the end of the time period the contributions are given to the company regardless of whether or not the goal is met. The cost is also dependent on which campaign is selected. Flexible campaigns cost 4% if the funding goal is met, but jumps to 9% if the goal is not met. For Fixed campaigns, the cost is 4% after the goal is met. There is also a 3% service charge to the third party payment processing agency. For registered 501(c)(3) non-profit organizations, there is a 25% reduction of IndiGoGo ‘s platform fee. AppsFunder – As its name implies, AppsFunder is a funding platform, connecting mobile entrepreneurs and developers, with funders to realize great apps together. NewJelly -NewJelly is a website that funds your creativity. This site helps the funding of all kinds of creative projects – be it art, food, technology, film, music or design. SoMoLend – This is different from the others in that it is a debt-based funding platform that connects small business borrowers with corporate, institutional, organization and individual lenders, such as friends and family or accredited investors. Companies will give up something to get funding, and may also be obligated for repayment at some future time. Hundreds of crowdfunding sites are coming on-line over the next year, with more options available as the SEC relaxes investor requirements and the JOBS act is implemented. There are also numerous companies that will assist, for a fee, in putting together videos, white papers and an entire crowdfunding campaign. Please share in the comments below your experiences with crowdfunding and provide a link to your campaign.